It was just reported today that someone bought two flats on The Peak for HK$1.16 billion (US$149 million). That calculates to HK$131,000 per square foot for Mount Nicholson, a luxury development project. Prices for private housing rose again in September for the 18th consecutive month, making home ownership even further away for home buyers looking to get into the market. Which is why some people maybe turning to buying up car park spaces in order to get into the real estate market. The value of these rectangular spaces in the garage are rising faster in value than flats in Hong Kong. A study conducted by brokerage houses in three private housing estates -- Provident Garden in North Point, Mei Foo Sun Chuen in Lai Chi Kok and Island Harbourview in Tak Kok Tsui -- found the parking spots in these places jumped on average of a whopping 167 percent compared to 52 percent for residential units in the last six years. In the same period, second-hand homes rose an average 84 percent across the city, according to data from the Rating and Valuation Department. 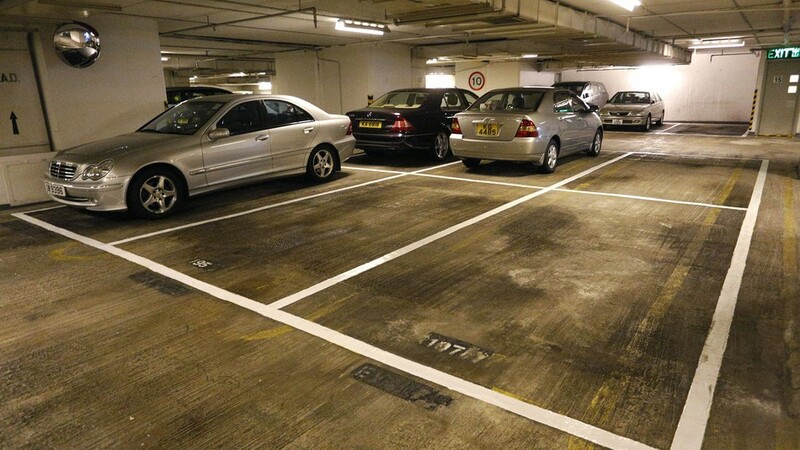 "It is even normal to find parking spaces transacted at above HK$2 million, and HK$1 million is becoming the entry point for parking spaces in Hong Kong," said Alun Jin, a property analyst at Mizuho Securities. Even Sha Tin parking spots are sizzling hot -- one was sold last week at HK$2.5 million, and another at Tseung Kwan O Plaza for HK$2.08 million. Jin attributes the high prices to real estate developments constructing fewer parking spaces. Between 2006 to 2016, the number of registered private cars rose 48 percent to 189,281. But the number of car park spaces only increased by 9 percent or 54,520 units according to Mizuho Securities. But is it worth plonking down HK$2 million for a car park space -- up to HK$4 million in Kennedy Town -- and then renting it out only for a few thousand a month? How long would it take to finally make your money back?